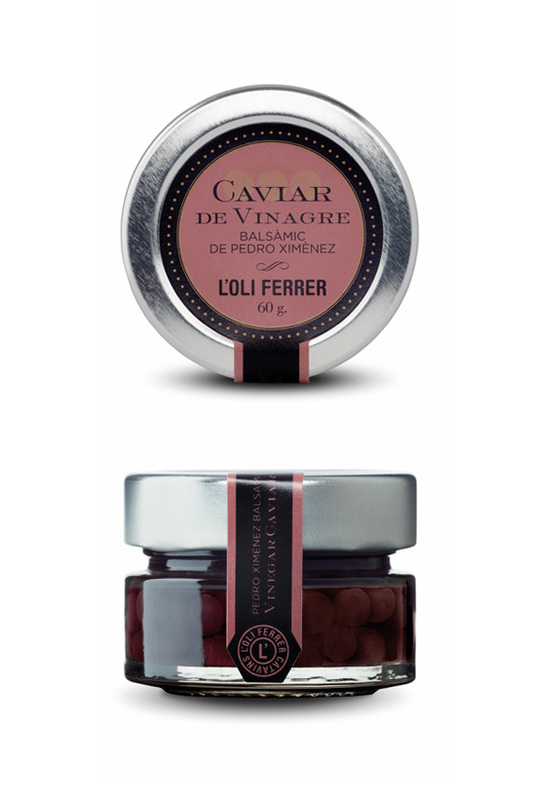 The L’OLI FERRER balsamic vinegar caviar from Pedro Ximenez is a new way of presenting the vinegar, a delicatessen product to use for the finest and avant-garde cuisine. It is an innovative and original product. The balsamic vinegar caviar from PX is made with the sferification technique obtaining a sphere similar to caviar texture. They are pearls of balsamic vinegar that explode in the mouth allowing us to enjoy the taste before merging with the other ingredients of the dish. It can be used with any dish that would come with crude olive oil specially for haute cuisine like Ferran Adrià’s. The balsamic vinegar caviar is made from Pedro Ximenez grapes that are dried naturally in the sun and have the aroma such as raisins, honey, and notes from aged in American oak. 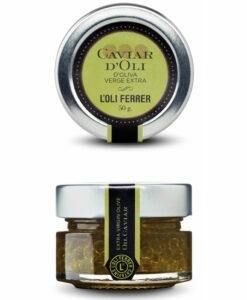 The caviar explosion in the mouth brings freshness, acidity and sweetness. Cold soups, foie gras, salads, ice cream, pancakes, desserts with red fruits and for dish decoration. We do not recommend using it for hot cooking because it would break the texture that covers it. Available in 60 gr. glass jars.